This is one of those games that is hard for me to review. While being the first game, chronologically, in the Arkham game series, Arkham Origins is the third Batman game to be released. Even though Rocksteady passed this title onto WB Montreal, it has had the advantage of hindsight when looking at what has made the Arkham games the pinnacle in comic book gaming. 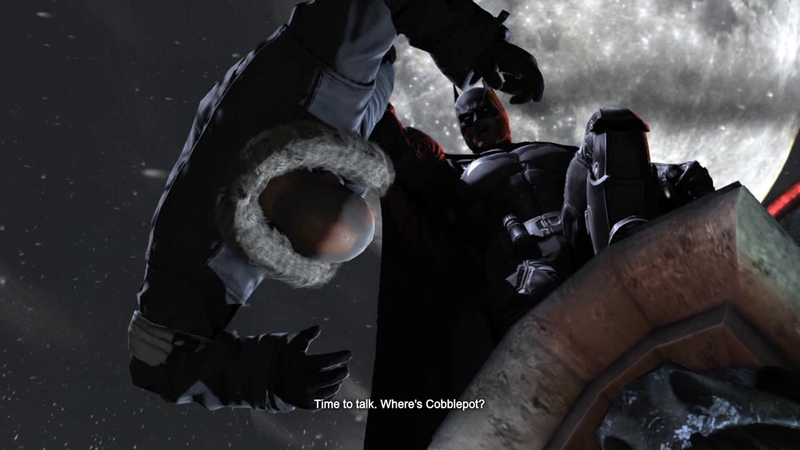 Arkham Origins is unmistakably an Arkham game. But, could it be so to a fault? There is a problem that a lot of sequential titles run into during development. There is undoubtedly a reason that a developer is working on a sequel to a game—most of the time that reason is that the first game in the series was popular enough to warrant a second entry. There is a dynamic a developer need struggle with during this process—how do you make a different game without losing what people loved about the original? Many major developers tend to use the idea of a sequel as a crutch, opting to change games on a superficial level while leaving the majority of the game unchanged. This is a necessity in a lot of titles that have an annual release (I.E. Call of Duty, Assassins Creed). While these games have their owns critics for the practice, I find a lack of change even more jarring when it comes in a title that is multiple years removed from most recent installment. There is a balancing act that many developers manage to pull off wonderfully. Some games manage to maintain the heart of their game while vastly altering most that is in it. Take Bungie, for example: before leaving 343 Studios behind for Halo 4, Bungie had released five entries in the Halo franchise. Anyone taking an honest look at these games can see that, while they may look similar and feel similar, there is so much change between sequels that each game is unique in its own right. 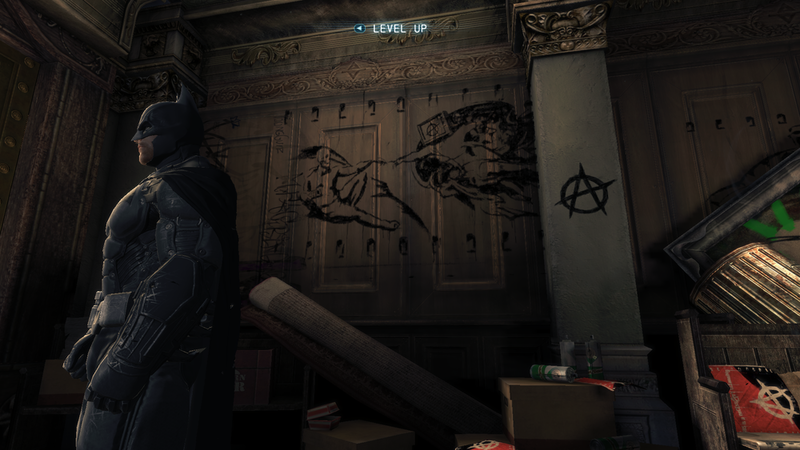 Even Rocksteady has managed to walk this tightrope with their leap from Arkham Asylum to Arkham City. This brings me back to WB Montreal and Arkham Origins. Batman: Arkham Origins could be the poster boy for a title that only makes superficial changes. I don’t think WB Montreal had an original idea at all during the development of Arkham Origins. 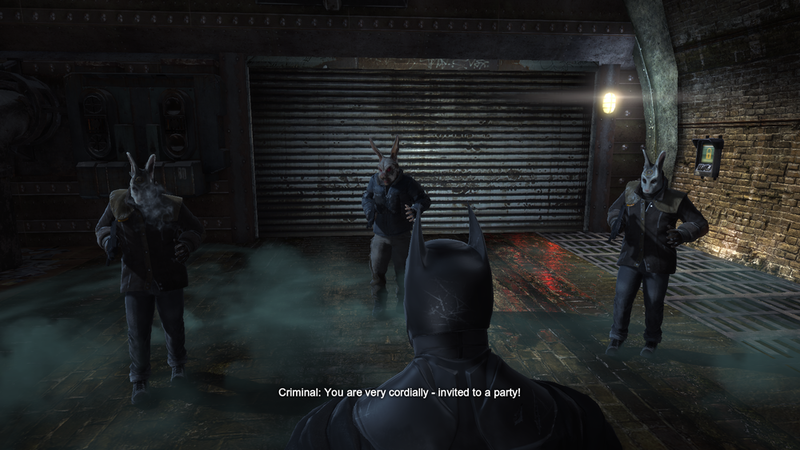 Much of the city and all of the gameplay was copy and pasted from Arkham City. What elements didn’t fit chronologically, due to them being fabricated later in the time line, were re-skinned in an almost comical attempt to avoid having to come up with something new. 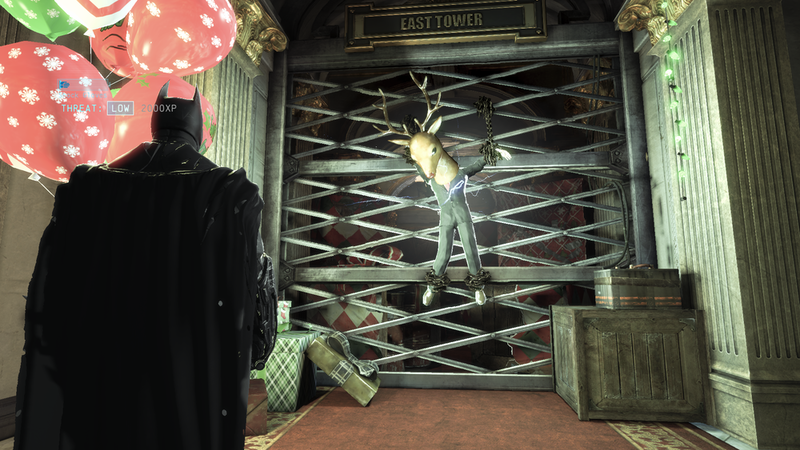 Take the glue grenade: If you have played Arkham City, you probably remember the ice grenades that Batman pilfers from Victor Frieze after you defeat him in the frozen halls of the GCPD building. These ice grenades were very useful; they allowed Batman to freeze enemies in their tracks, seal steaming pipes, and even to create platforms for Batman to walk across water. Can you guess what the glue grenade does? If your answer was “all of the above” then you win! While the glue grenade might be an example of lazy, albeit harmless, game design; there was another offender that physically made me angry the longer I played Akrham Origins: the free flow combat. If I had to reduce the Arkham series to one element that made for such successful comic book games that would have to be the free flow combat. The free flow system made you feel like Batman. Somersaulting around a room to deliver bone crushing blows to inmates, all at the push of a few buttons… the feeling was exhilarating. Oh the times, they are a changing. Arkham Origins takes that feeling of exhilaration and turns it into tedium. The thing about the free flow combat system is that it was never particularly deep. 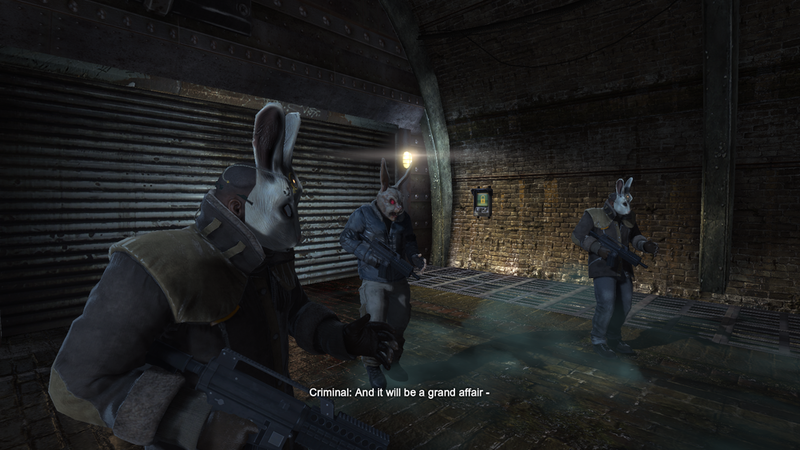 Rocksteady had managed to mask this limitation by mixing in stealth sections to supplement the combat and limiting the fights to quick, brutal, encounters with small groups of enemies. With everything that WB Montreal copied, they failed to utilize context and restraint in their own treatment of the combat. Far too often, I found myself running into a room with far too many enemies to fight; and after I was finished with that room, I would enter the next room only to find far too many enemies to fight yet again. There was no significant variance in either variety or challenge. The longer the game went on, the more annoying these repeated encounters became. If you can get past the tedium of the gameplay, WB Montreal did do a great job in constructing a Batman story. While the title “origins” might be a bit of a misnomer (the game takes place two years after Bruce Wayne dons the cowl), Arkham Origins does claim the most cogent and succinct of all the Arkham stories to date—including a great twist worthy of any comic book story. Gotham mob boss Roman Sionis, or Black Mask as he is affectionately referred, has put a 50 million dollar bounty on the head of the Batman. Six of the world’s most deadly assassins have come to Gotham in order to claim this bounty. The change in focus was fascinating to behold. This assassin angle created a situation where it was Batman who was being hunted through the city rather than the other way around. It also provided for anticipation, knowing who you would eventually be fighting but not knowing when they would make their appearance. As the story progressed, it didn’t take long for Arkham Origins to lose its focus on the original premise, unfortunately. After the set up, and an initial confrontation with two of the six assassins, the assassin arc took a back seat as the plot twist took precedent. The remaining assassins felt shoe-horned into the game. While the plot twist was fantastic, I can’t help feeling cheated that the original premise of the game was not fulfilled. I was hoping to experience a city where I could be ambushed by people as highly skilled as Batman, but instead I got to follow a trail of bread crumbs interposed with the obligatory Batman villain, just like the games that I’ve already tread through. Batman: Arkham Origins is a by-the-numbers Arkham game. Unambitious in its conception, it felt like WB Montreal was just checking off boxes on a list of what they thought made Arkham City so good. Without a proper respect for the shortcomings of the game they were working with, WB Montreal turned a thrilling franchise into a tedious slodge. Origins is a game that was made for the sake of making, and the lack of passion showed.